CHICAGO (CN) – A policeman who fatally shot a 19-year-old college student last December – accidentally killing a 55-year-old neighbor in the process – claims in court that the dead teen is to blame for the incident that has left him with emotional scars. Officer Robert Rialmo filed a his counter claim against the estate of Quintonio LeGrier on Friday in the Cook County Circuit Court. The complaint, which has been consolidated with a lawsuit the estate filed against Rialmo, accuses LeGrier of attacking the officer with a baseball bat in the early morning hours of Dec. 26, 2015, forcing him to use his gun to save his own life. One of the bullets fired by Rialmo passed through LeGrier’s arm and struck his neighbor, Bettie Jones, in the chest, killing the 55-year-old grandmother almost instantly. Both LeGrier and Jones were black. Rialmo is a white officer. The shooting occurred against the backdrop of heightened tensions between police and Chicago’s black community following the fatal shooting of black teenager Laquan McDonald by a white officer in October 2014. The officer said he was on patrol with another officer in Chicago’s Garfield Park neighborhood in the wee hours of the morning when they were called to respond to a domestic disturbance. Rialmo says he jumped back, and shouted at Quintonio to drop the bat, but Quintonio took another swing at him. He says Quintonio was about four feet away from him when he swung. “Officer Rialmo feared that LeGrier would strike him in the head with the baseball bat so hard that it would kill him,” he claims. In fear for his life, the officer shot Quintonio eight times in approximately 2.5 seconds. Rialmo’s countersuit dramatically contradicts the account given by Le Grier’s family in the wrongful death suit they filed against the officer on December 28. They claim the teen was inside the building in which he lived and that Railmo shot him from the street — a distance of some 20 feet. They also contend LeGrier did not threaten the officer or anyone else, and that he was not involved in any illegal activity when he was shot and killed. With the filing of Rialmo’s countersuit, both parties are seeking $10 million in damages. 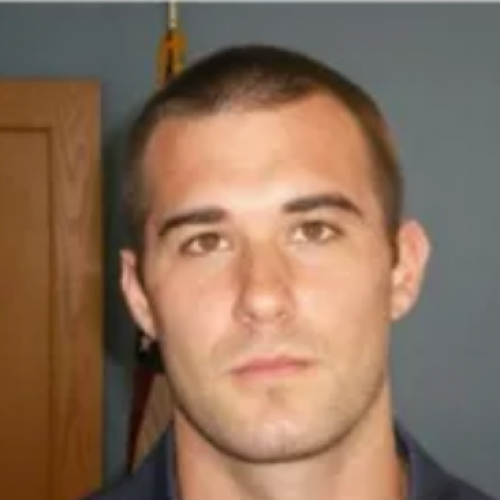 “The fact that LeGrier’s actions had forced Officer Rialmo to end LeGrier’s life, and to accidentally take the innocent life of Bettie Jones has caused, and will continue to cause, Officer Rialmo to suffer extreme emotional trauma,” the officer’s counterclaim says. 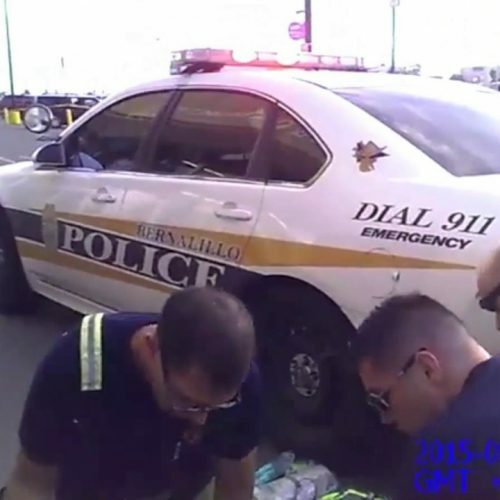 The lawsuit is the first time the officer has publicly discussed his side of the story, since the city’s Independent Police Review Board has not released an official version of events, citing its ongoing investigation. It does not say what the other officer present at the scene was doing during the altercation. “After this coward shot a teenager in the back … he has the temerity to sue him? That’s a new low for the Chicago Police Department,” Foutris told the Chicago Tribune. Chicago paid McDonald’s family $5 million even before the dashcam video showing his fatal shooting was publicly released, sparking mass protests. Officer Jason Van Dyke faces murder charges for killing McDonald. 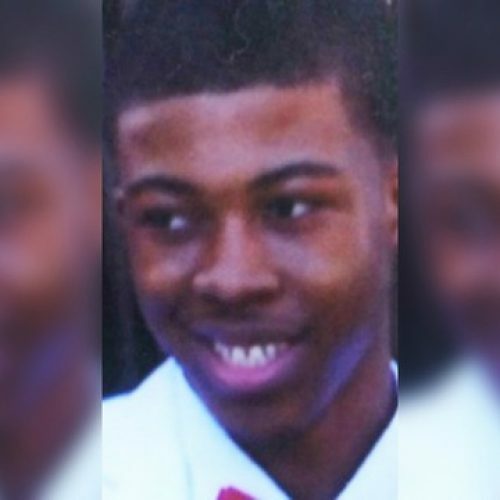 Three weeks before Quintonio’s death, the Justice Department announced that it would conduct an investigation of the Chicago Police Department’s practices and policies regarding the use of excessive force.